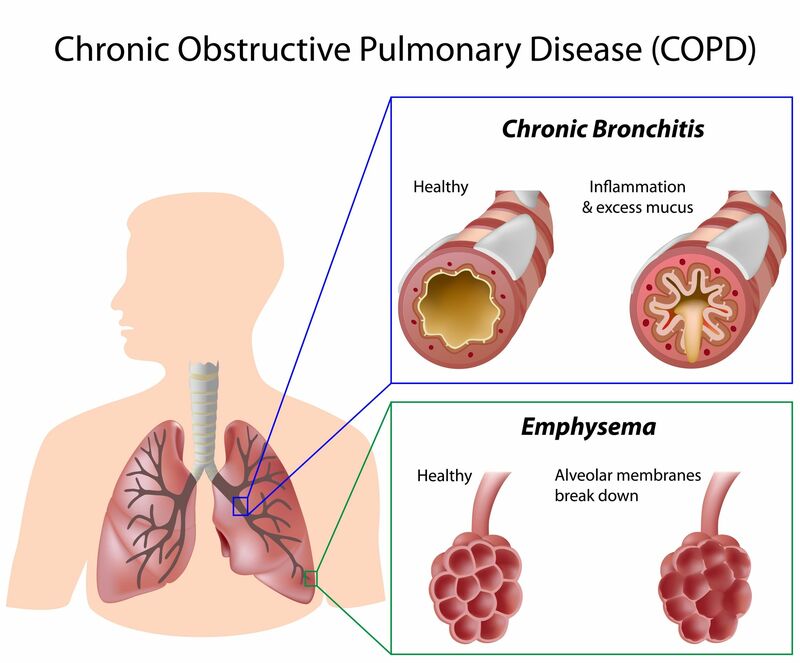 Many people with COPD have attacks called exacerbations. This is when your usual symptoms quickly get worse and stay worse. A COPD flare-up can be dangerous, and continue to worsen with increased levels of damage to the lung tissues. In normal lungs, there are progenitor cells in abundance throughout each region. These cells divide to replace old or damaged lung cells, which keeps the lungs healthy. The progenitor cells include tracheal basal cells, bronchiolar secretory cells (known as club cells), and alveolar type 2 cells. Division of these progenitor cells is thought to be sufficient to renew the lung’s structure throughout normal adult life. Stem cells are much rarer than progenitors, but they are found in both embryonic and adult lungs. Some stem cells contribute to initial lung development and others help repair and regenerate the lung throughout life. Stem cells can migrate to the sites of injury attracted by specific chemicals released by the damaged tissue. The cell, by homing to the damaged area will fuse with the damaged tissue by the process of engraftment and become the same tissue by displaying the property of plasticity. Our COPD stem cell treatment program can greatly benefit patients with a range of lung diseases. Would you like Treatment for COPD?